Keyes Honda: Have you driven the 2018 Honda Odyssey? Have you driven the 2018 Honda Odyssey? The 2018 Honda Odyssey is a nice gift for drivers looking for a great vehicle for their family. Many times, folks have given up on the idea of a fun-to-drive vehicle when they begin their search for a minivan. But the 2018 Honda Odyssey is no ordinary minivan. A new chassis design makes use of advanced materials, including ultra-high-strength steel, aluminum, and magnesium. Together, these materials minimize weight while improving rigidity, achieving a weight reduction of 75 pounds over the 2017 model and a 44 percent increase in torsional rigidity. For drivers, this translates into class-leading steering precision, handling, and comfort, not to mention an incredibly quiet cabin. The 2018 Honda Odyssey also adds responsive dual-pinion electric power steering (EPS) to boost response and maneuverability. An all-new compact trailing arm rear suspension further enhances ride and comfort, and also allows for the most rear cargo room in its class. 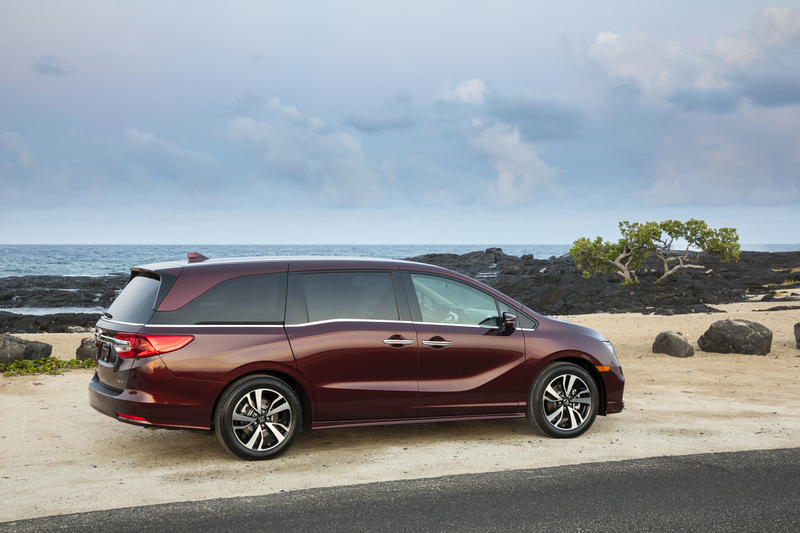 The 2018 Honda Odyssey is powered by a 3.5-liter, direct-injected SOHC i-VTEC™ V6 engine with Variable Cylinder Management™ (VCM™) that provides 280 SAE net horsepower. Two available transmissions allow drivers to get more out of the engine. The all-new, Honda-developed 10-speed automatic transmission is the first of its kind for a front-wheel-drive vehicle, and helps to deliver unforgettable responsiveness and refinement on the road. Visit our website to get pre-approved for Honda financing. We’re committed to finding the payment terms that work best for you. After we review your finance application, one of our experienced Financial Managers will give you a call to go over your options.